I come before you seeing myself as you see me, a sinner. I have come to see that my sin has separated me from you and the FATHER. JESUS, I ask that if you will, Please forgive me of my sin and come into my heart and wash me clean. Give me a new start this day. I realize that I might still sin, but I ask that you correct me and teach me how to not do that anymore. Search my heart LORD and as I grow and mature in my walk with you may the things that don't belong in my heart be removed one by one. I thank you for loving me so much that you gave your life for my life so that I would not have to suffer the punishment that I so deserve. JESUS, you say that you will save those that confess with their mouth that you are LORD and believe in their heart that GOD has raised you from death. I confess out loud to you, JESUS, You are LORD and I do believe in my heart that GOD has raised you from the dead. Thank you, JESUS for saving me this day. Help me to accept your forgiveness each day LORD. Help me to love others as you love me. Give me the strength to stand when I fall. From this day forward make me the person to who you would have me to be LORD. THANK YOU JESUS. In your name I pray and give thanks. AMEN! 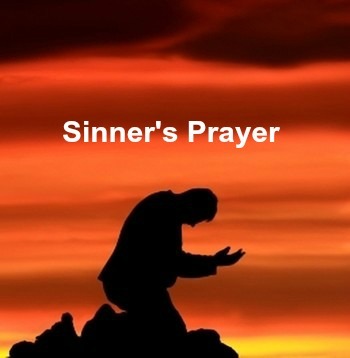 If you have just prayed this prayer, then please go here now.